Aww... Commemorate your special day with this beautiful hand-painted figurine! 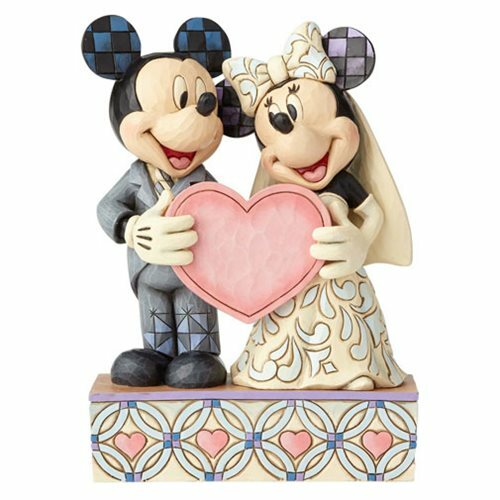 Beautifully sculpted from high-quality stone resin, the touching Disney Traditions Wedding Two Souls, One Heart Mickey and Minnie Mouse Statue features Mickey and Minnie as doting bride and groom. It measures approximately 7 1/8-inches tall x 5-inches wide x 2 1/2-inches long.